The Greek society is currently experiencing a deep economic crisis. The outcome is visible and leads to dramatic effects both on the functioning of the national apparatus and on individual lives. Despite these hard times, our protest movements claiming more rights for military personnel are still active. As outlined in the statutes of our associations, we continue to address our members’ concerns and we stand together advocating for their rights and needs. 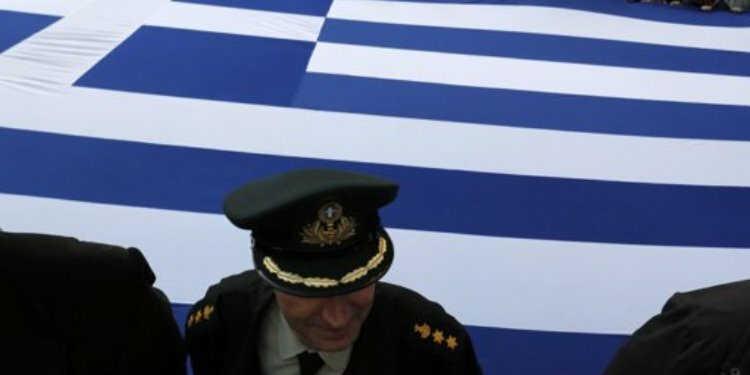 The movement is ethically obliged to make the difficult conditions under which the Greek armed forces are currently operating public; our goal is to propose solutions and make recommendations to the extent deemed necessary. These problems mainly concern the social and economic issues of the Greek military as well as the professional ones. They are also related to difficulties in logistics, training, health and safety in the assigned working area as well as to the contribution to the international defence obligations of the country. Another problem is the limited availability of effective weapon systems. Only by means of upgrading the armed forces more effectiveness and operational readiness can be ensured. Our primary concern is building-up an army able to efficiently serve and protect the people and the country. Our movements, representing both retired and active military personnel through democratically organised unions, aim to solve minor and major problems afflicting the armed forces. The unions give special priority to collective claims, depending on the needs and the acerbity of the problems. – Our democratic right to participate in union activities, committees, boards and similar bodies. – The obligation for the Greek government to comply with the resolutions of the Council of State in relation to the reparation for the economic injustice imposed on the military. – The re-calculation of the salaries and pensions to the level they were before the memorandum era and a proposal before the Greek Parliament of a law appropriate for today’s needs. – The structural democratic upgrading of the military academies in study, duration and education level and the unhindered participation of the military in further education, according to their own abilities. – The proposal for a solution addressing particular economic problems (lump sum payment, family assistance, professional independence). – The upgrading of the medical treatment for the military. – The immediate cessation of the movement of funds from our Equity Funds and special accounts to the Bank of Greece, to pay loans of our State. – A proper investigation of the scandals in provisions and military equipment that add up to billions, including the promise to ascribe accusations to the ones who were effectively involved in such deals and the establishing of a statutory framework of social transparency and parliamentary control in order to avoid any future incidents. Being constantly in contact with our colleagues, especially the ones in Europe who are experiencing similar social issues, we are certain that we will be able to foster our constant campaign through information-sharing processes and solidarity. Times are requiring vigilance, participation and demands. The massive revitalization of our movement is what we need today. Trusting our abilities, we are united not only with our colleagues from the unions of the law enforcement agencies, but with the ones from unions of the rest of the society. We will never cease to fight until our parents, brothers, sisters, children and grand-children, who are excluded from the labour market today, will be able to find a way out of the labyrinth in order to claim, all together, a bright tomorrow in a country that we deserve.